Buying property overseas needs thorough consideration and planning. The rental yield is one of the most important aspects to many investors. Future outlook, capital appreciations, living standards and personal preferences are important to others. A frequently asked question is in which countries foreign buyers can find the highest rental yields in Asia. I’ve done some vast research, but found little information, most websites pointing to one source. Therefore, I decided to write about this topic myself. In this article, I list the countries with the highest rental yields in Asia. I’ve intentionally excluded Cambodia from this article, as I couldn’t find sufficient data and sources. CBRE Cambodia claims that residential rental yields ‘can’ reach between 5-7% in Phnom Penh, a general number which makes it hard to compare. Having that said, Cambodia is well-known for providing good yields. With better data, we would probably see Cambodia at spot 2-3. Thailand is a truly popular destination among foreigners, especially from Hong Kong and Mainland China. Still the yields are not the highest in the region and you can expect rates at around 4% in places like Bangkok. High-end condos have a slightly lower yield, averaging at 3%. Buying strata-title properties (condominiums) is straightforward and you’ll find many foreign owned agencies and developers, who are able to communicate freely in English, knowing the market inside and out. 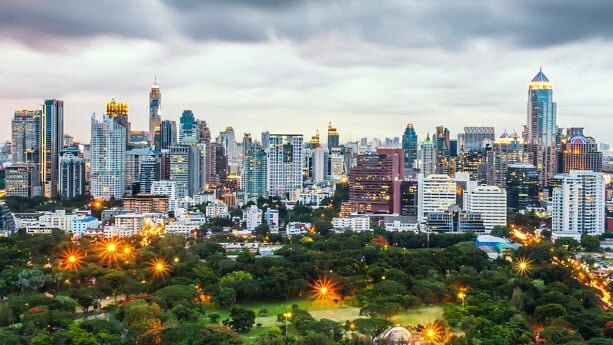 If you buy in Bangkok, a recommendation is to look for bigger 2 bedroom apartments and 3 bedroom apartments with a size of 80-130 square meters. These investments tend to be better than 1-bedroom apartments, which have seen an oversupply. The ‘quality’ of tenants is generally better as well. Buying a condo along the Sukhumvit line can give you greater yields, if you have a bit of luck and do your research well. Agents and investors alike claim that yields average at around 5% in Bangkok. Pattaya offers good yields from 4-5% according to our research, higher than those in Phuket for example. The Philippines is another promising country, with one of the fastest growing economies in the world, averaging at around 7%. It outperforms both Malaysia and Thailand. 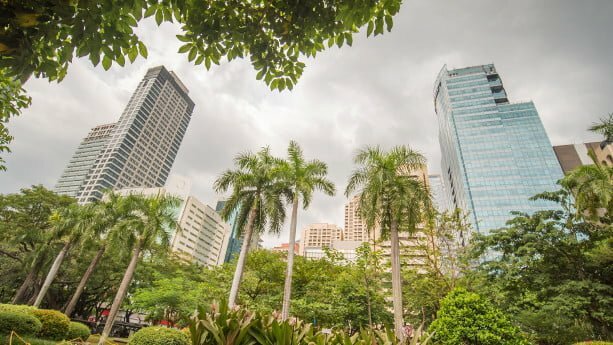 The same as it goes in Thailand, foreigners can legally own strata-title properties (condominiums) and the buying process is straightforward. Both Colliers and Savills have released data related to rental yields in the Philippines, but there are some discrepancies. Savills claims that yields average at 4.3% in Manila, while Colliers’ report shows a rate of 5.3%. Worth mentioning is that the rate of 5.3% is valid for luxury condos. Still, I question whether the yields are actually better in Malaysia compared to the Philippines (see below). But in this article, I stick to the data. Malaysia offers some of the most favorable foreign ownership regulations in the region. Foreigners can buy and own land on a freehold basis, there are only some minor restrictions in terms of the land types you can buy. You can also apply for a 10-year long renewable visa called MM2H, in case you deposit some money and buy a property that meet local investment criteria. Rental yields are fairly high, with rates averaging at 4.8% in Kuala Lumpur according to Savills, other websites mention rates at 4-5%. Johor Bahru is another interesting city, with proximity to Singapore, and where you can make promising deals. Areas like KLCC and Mont Kiara should be of interest when searching for property in Kuala Lumpur. Indonesia has been top ranked for years in terms of rental yields. Even if foreign ownership regulations are not favorable compared to many other countries, yields have averaged at 8% from 2006-2016. However, yields started to drop after 2016. 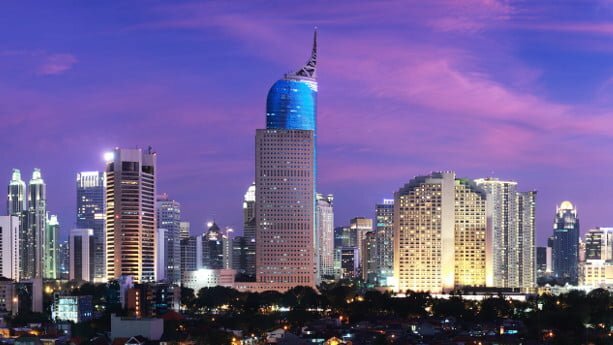 According to data from Savills, yields have decreased to 5.2% on average in Jakarta, while DBS claims that yields have fallen from 8% to 6%. The yields for luxury properties still look tempting according to Colliers, averaging at 8%. Just keep in mind that the taxes levied on luxury real estate are eye-watering. 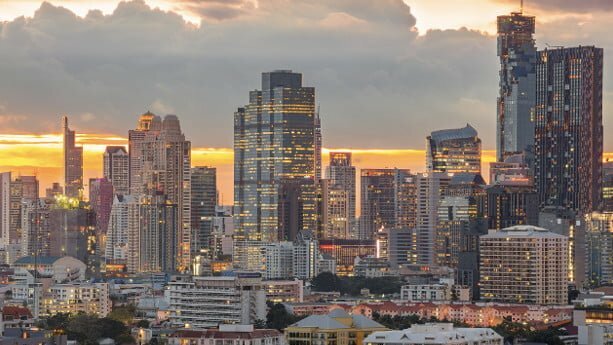 With an emerging market, interesting demographics and the construction of a new MRT, the property landscape will truly change for the better in places like Jakarta. A drawback of investing in Indonesia, and especially places like Jakarta and Bali, is the recurring problems with floods and earthquakes. 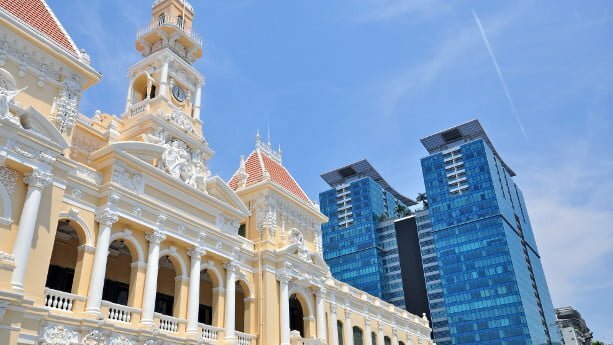 Vietnam’s property market opened up in 2015 and has started to attract many investors since. The economy increases with a rapid pace, averaging at around 7%, taking production from China and developing quickly in many other sectors. The country has good prospects in my view, something that you can read about in this article. So how high are the yields? Rates average at 5.8% in Ho Chi Minh City and at 7.5% in Hanoi, according to Savills. Da Nang is another major city that should be of interest, in terms of living standards and future property prospects. Ho Chi Minh City is the most interesting city in my view, especially district 2, 7 and 9, as the city tend to grow towards the East and South. District 9 is the least developed area of the three, but with great potentials in terms of capital appreciations. If you look for high rental yields, district 7 and areas like Thao Dien in district 2 should be of interest. According to other sources, yields in district 2 average at 6-8%.